The Seahawks have to cut their roster today to 53. Here's a look at what has happened. The day to cutdown to 53 has arrived for the Seahawks and the rest of the NFL. All teams have to get to 53 by 1 p.m. Pacific time. — The Seahawks made their moves official in the late afternoon. 09/03/2016 Terminated veteran contracts of G Jahri Evans, FB Will Tukuafu. Waived DT Brandin Bryant, TE Clayton Echard, QB Jake Heaps, LB Steve Longa, WR Douglas McNeil III, WR E.Z. Nwachukwu, WR Kasen Williams, RB Troymaine Pope, G/C Will Pericak, WR Antwan Goodley, DE Tylor Harris, S Keenan Lambert, WR Kenny Lawler, LB Kache Palacio, DE Ryan Robinson, CB Tye Smith, DT Tani Tupou. Waived/injured TE Joe Sommers, CB Marcus Burley, DT Jordan Hill, LB Eric Pinkins, T Terry Poole. Acquired DB L.J. McCray (San Francisco), DB Dewey McDonald (Oakland) in trade. Waived RB George Farmer, DB Trovon Reed, WR Kevin Smith, DT Sealver Siliga from injured reserve with injury settlement. One of the bigger moves there is the waiving of Hill, a third-round pick who has battled injuries throughout his career playing in just 27 of a possible 48 games the last three seasons. He was injured throughout camp this year, as well, and suffered a hamstring injury Thursday against the Raiders. As of now, six undrafted free agents have made it — WR Tanner McEvoy, DB Tyvis Powell, QB Trevone Boykin, CB DeAndre Elliott, OT George Fant and snapper Nolan Frese. Eight of Seattle’s 10 draft picks also made it — all but seventh-round picks WR Kenny Lawler and RB Zac Brooks. —The Seahawks have acquired backup strong safety Dewey McDonald in a trade with the Raiders, with McDonald confirming the news via Twitter. 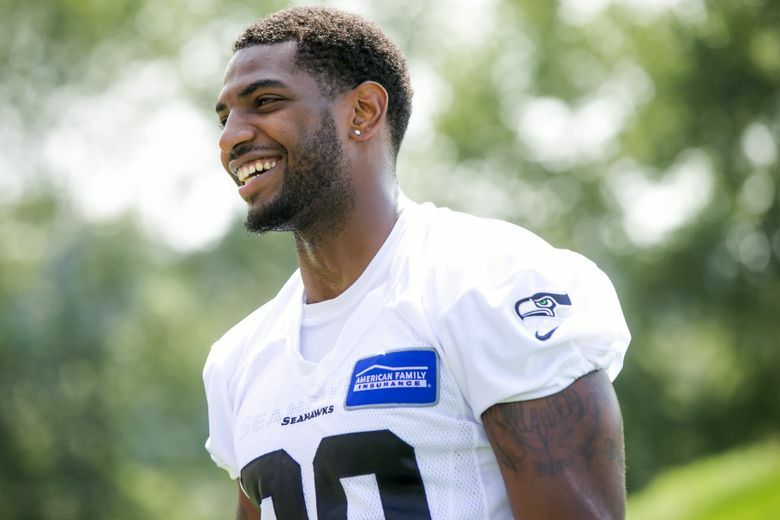 McDonald was Oakland’s second-team strong safety at the end of the preseason and had four tackles on defense and another on special teams in Thursday’s game against Seattle. McDonald began his career as an undrafted free agent with the Colts in 2014. The two moves for safeties appear aimed at buffing up what was a somewhat shaky Seattle special teams during the preseason. The Seahawks allowed three kickoff returns of 30 yards or more against the Raiders including an 81-yarder for a touchdown. McDonald played solely on special teams in the one game he played in for the Raiders last season. — The Seahawks have acquired backup safety L.J. McCray in a trade with the 49ers, according to the 49ers. San Francisco gets an undisclosed draft pick. McCray was listed as SF’s third-team free safety at the end of the preseason. He played in 22 games the last two years seeing most of his action on special teams. McCray began his career as an undrafted free agent out of Catawba. He has 14 tackles in two seasons. McCray played 134 special teams snaps for the 49ers last season, none on defense. So this is a move likely also aimed largely at beefing up special teams. — According to his own Tweet, undrafted free agent cornerback DeAndre Elliott appears to have made the roster. A Colorado State grad, he may have pushed Tye Smith or Tharold Simon off the roster. He had been said to have a good camp but also came out of the last game against the Raiders with a sprained ankle. Apparently that is not a serious injury. — According to a Tweet from his high school, undrafted rookie free agent Tanner McEvoy has made the roster. McEvoy impressed as a receiver early and also has played tight end the last few weeks to help fill in the depth at that spot. McEvoy had five catches for a team-high 128 yards in the preseason. — Among those who have been waived by the Seahawks are quarterback Jake Heaps and guard Jahri Evans, as well as Eric Pinkins. As of the 1 p.m. deadline, that means the Seahawks had to waive/release 19 more players to get to the limit. Heaps was the third-team QB for Seattle in training camp with rookie Trevone Boykin as the backup. The former Skyline High star could be a candidate to be signed to the team’s 10-man practice squad, which can be assembled on Sunday. — NFL.com’s Mike Garafolo is among those reporting that linebacker Eric Pinkins has been released. A sixth-round choice in 2014, he has played in six games the last two seasons having been released twice previously by the Seahawks. Pinkins had been moved to strongside linebacker this year after previously playing cornerback and safety for the Seahawks. He mostly had seen action on special teams. — Longsnapper Tyler Ott, who was reported to have signed with the Seahawks on Friday, took to Twitter Saturday morning to refute that report. The Seahawks have yet to many any moves official.